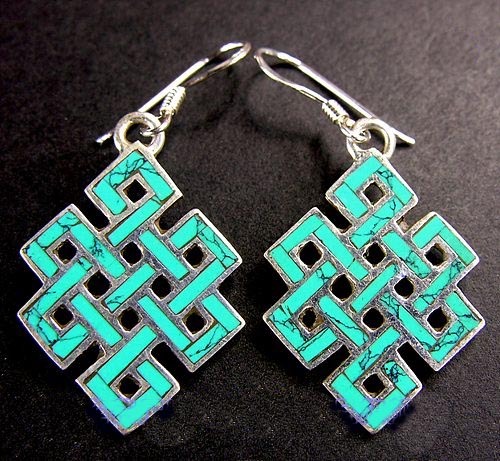 Turquoise Buddhist Endless Knot Symbol Earrings Handmade Tibetan Sterling Silver Earrings. 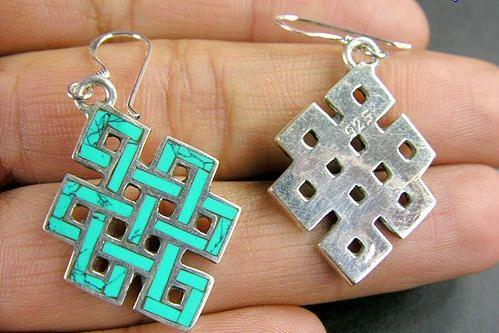 These Earrinsg were handmade in Nepal from sterling silver and Turquoise. 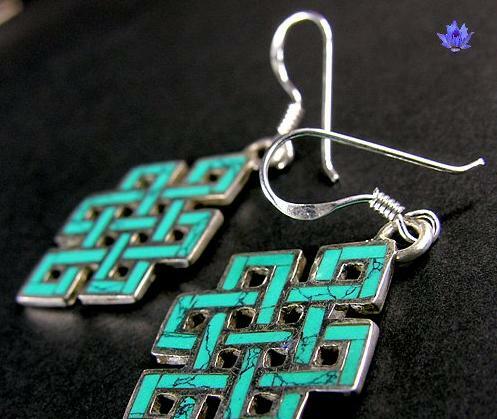 The size is 2.9*2.0cm, weight: 10g.